« How to Share Music Between Two Computers with Home Share? 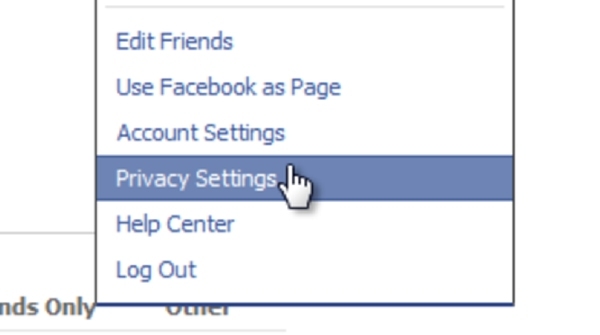 First of all sign in your Facebook account and go to the “Account” tab and from the drop down menu select the “Privacy Settings” option. Once the new web page loads, click on the “Customize Settings” option. 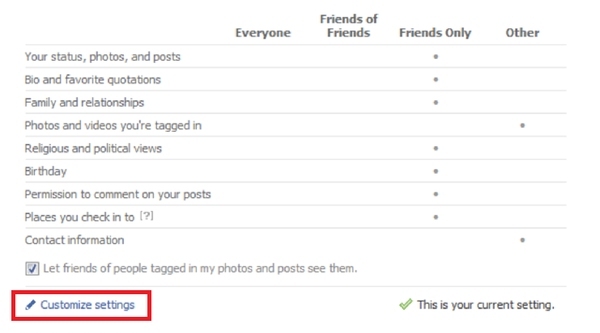 Scroll down the web page and you would see an option titled “Suggest Photos of Me to Friends”. Click on the edit settings button next to the option. Once the pop up window loads, change the option from “Enabled” to “Disabled” and click “Okay”. It’s that simple. 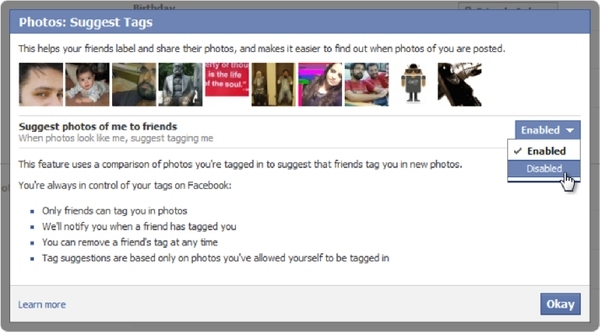 Facebook would now no longer use the facial recognition software to automatically tag you in photos.